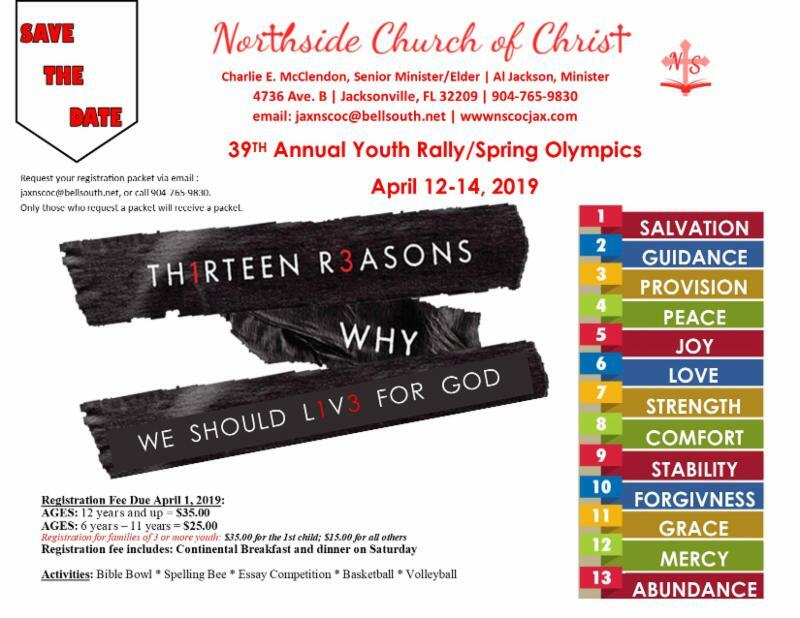 For the month of April, our 3rd Sunday Area Fellowship will be held on the 2nd Sunday, April 14th, at 2:45p, at the Sweetwater congregation (7009 Wilson Blvd., 32210). 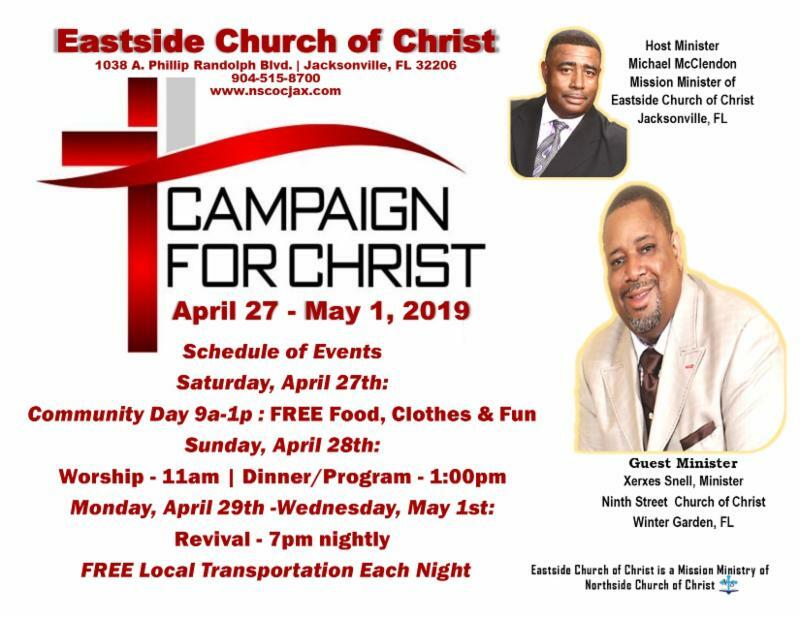 We are gearing up for the Eastside Church of Christ Campaign for Christ which will be held April 27-May 1, 2019. Bro. Xerxes Snell will the guest speaker. Please come out to assist in the Community Day on Sat., April 27th, from 12p-3p. Each year we ask for donations to assist in our Summer Camp daily operations during their open season. It is that time of year! Please consider making a monetary donation. You may see Jackie Shootes, or simply put it in a contribution envelope, be sure to write legibly that it is for the summer camp, and place it in the basket during the collection portion of any of our worship services. Thank you in advance. Applications for both youth volunteers and the camp attendees are now available at the information table in the foyer. 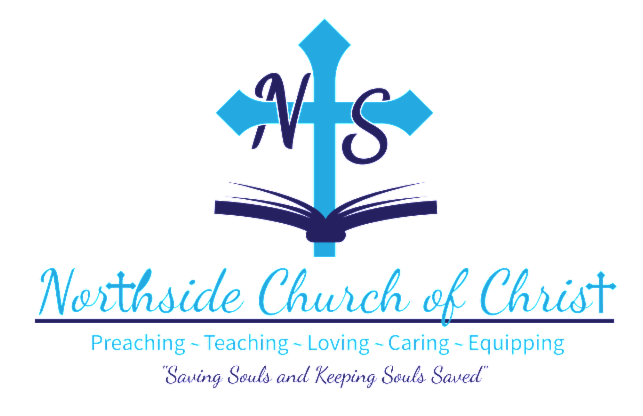 Northside and the local sister congregations will be hosting the 2019 Florida State Lectureship August 4-9, 2019 at the Hyatt Regency Hotel. 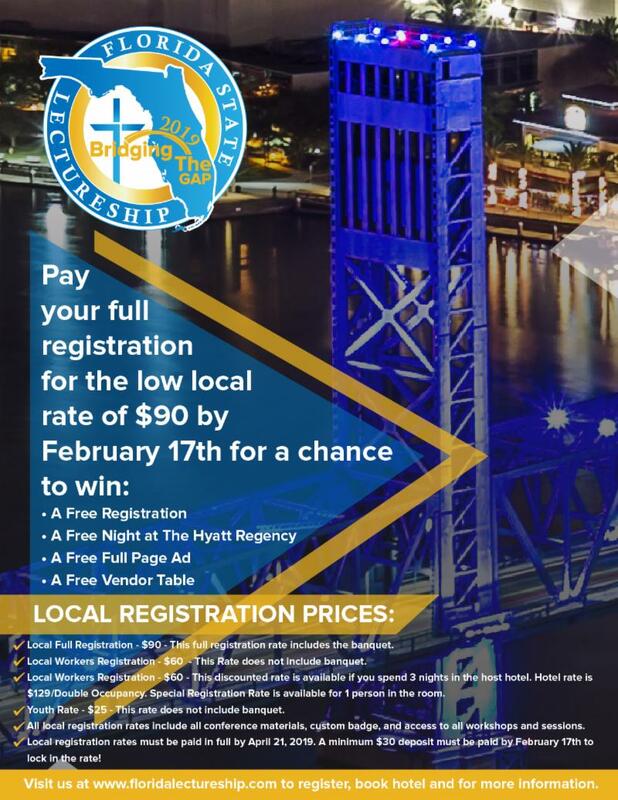 Local registration (Jacksonville, FL) cost is $90 but will increase on May 1st. If you are a committee volunteer worker from any of the local congregations, your registration rate is only $60 until May 1st. You may now begin to book your hotel rooms at the Hyatt. Be sure to mention you are with the 51st Annual Florida State Lectureship . All Committee workers need to listen carefully to the announcements and check your emails and text messages regularly for committee meeting times and locations. Please see the representatives at the table in the foyer or go online to www.floridalectureship.com for details. 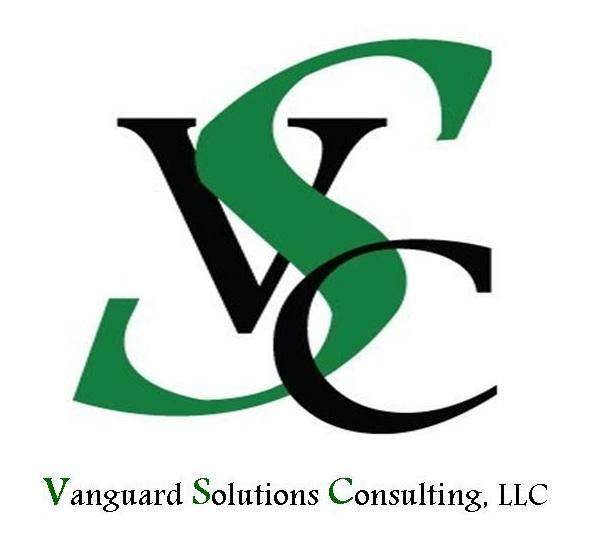 will host the 2019 Florida State Lectureship August 4-9, 2019 at the Hyatt Regency Hotel. this amount will increase on May 1st. 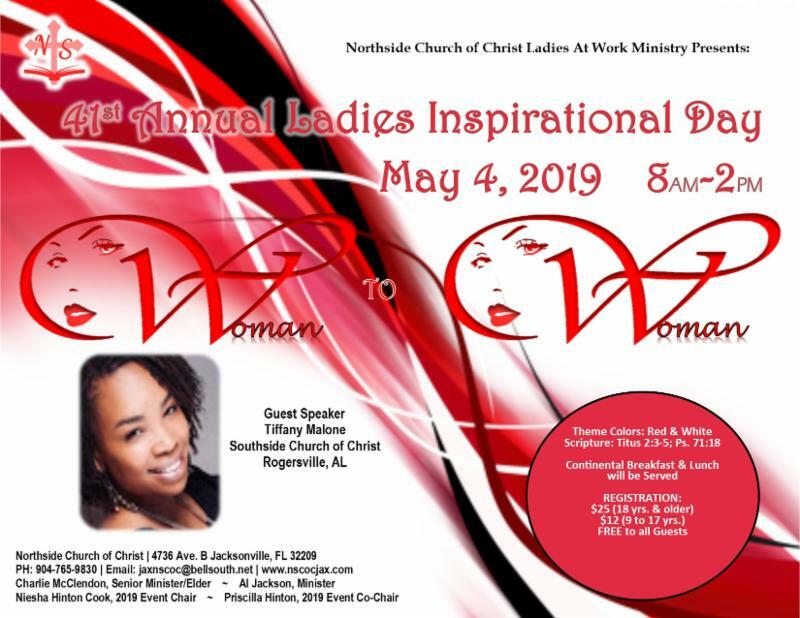 your Registration is only $60 until May 1st. You may now begin to book your hotel rooms at the Hyatt. Be sure to mention you are with the 51st Annual Florida State Lectureship. Hotel Rate is $129 per night/Double Occupancy. ﻿listen carefully to announcements, check your emails & text messages regularly for meeting times & locations.